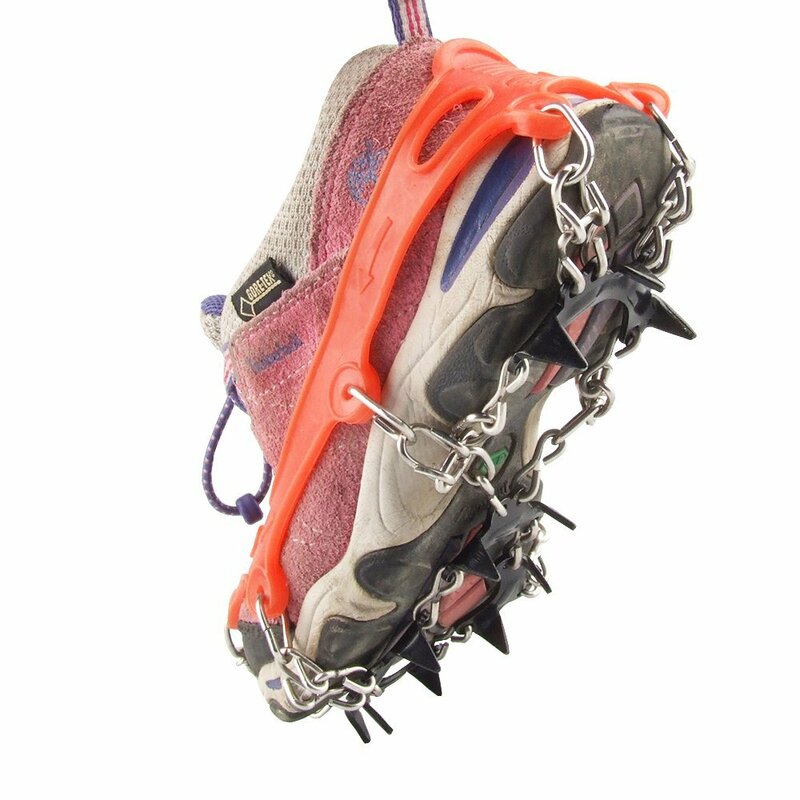 All manufacturers that I can find offering adjustable crampons with smallest size 35 EU. I need crampons for a boots 30-32 EU size. Is it possible to find such crampons? I am looking for glacier trekking crampons. I had to cheat of course, I removed the bar that attaches the toe and heel peices, then overlapped them. But looking at the crampons, I think they fit a size 32 natively (US/CAN size 1). 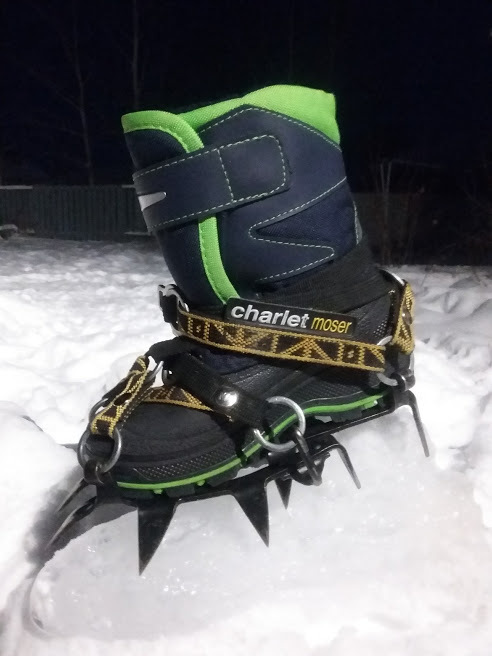 These crampons are made for kids shoes, and fit a size 28-39 (US/CAN 11C - 6.5), and to be honest are probably adequate for anything a kid that size is going to have the ability for.